Most bird diseases need urgent attention by the veterinary. Birds are true masters at hiding any symptoms of disease (by nature they do not show signs of weakness to potential predators). 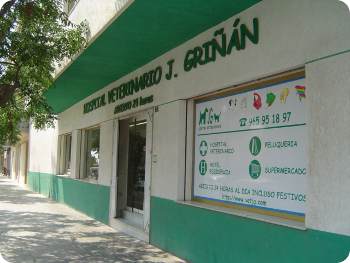 Often birds are already in critical condition when presented to the veterinary. Typically, the client informs us that his parrot has been sick since the previous day, examination and diagnosis often indicates that the sickness has been developing for several weeks. It is therefore important to monitor your bird daily and be suspicious of any behavioural changes such as not playing, poor social interaction, vocalizing or change of feeding habits as well as more obvious physical changes including change of stools and respiratory or eye secretions. A simple telephone call to your veterinary can often resolve problems and answer owners concerns, but always be safe and consult your veterinary at any early indication of problems. of faeces allows the veterinary to determine digestion of carbohydrates and fats and also provide an indication of any intestinal parasites. A radiograph or an endoscopy may also be required to explore their air sacs, abdomen etc, and to see the target organs of certain diseases. In certain cases (especially where there is discharge or regurgitation has been reported), a veterinary may also take samples (pharynx, nostrils or ears) in order to determine any bacterial and fungal flora conditions in these organs. the bird and explains any condition. However, it is also advisable that the owner should not remain with the bird during examination, this prevents these ‘sociable’ and ‘trusting’ birds from associating the veterinary drama with the owner.